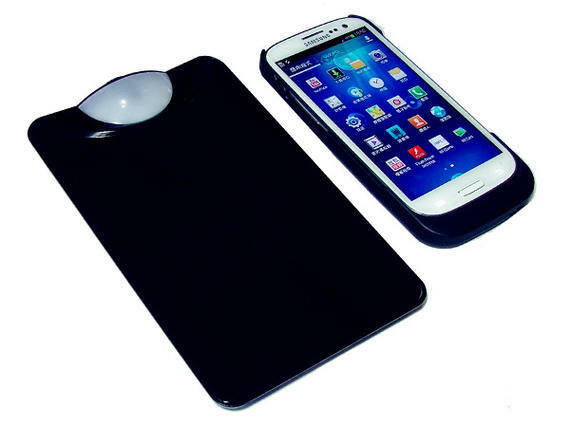 Aussie accessory company Droidax today announced its own wireless charging accessory for the Galaxy S3. Comprised of a charging mat and a battery cover with the necessary components, Droidax will be selling its latest line for AU$79.95, or for half as much as Samsung’s own wireless charging dock. The phone cover has a 1200mAh battery pack built in, which gives you a little more than 50 per cent extra battery for the phone. The trade off is its size and weight; the cover very nearly doubles the thickness of the phone — up to 14.9mm — and adds 80-grams in weight. The unadvertised advantage of this charging mat is that it uses the Qi wireless charging protocol, which is as close to industry standard as we have at this time, so it should be compatible with the new Nokias, Nexus and some older BlackBerry phones, too.